Hello, and welcome to Episode 73 of the Planning Period Podcast, your #EdBreakroom. I’m your host, Brad Shreffler. Before we get into this week’s episode, I want to ask a quick favor of you. 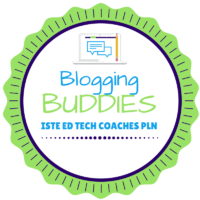 I am putting together a session for #ISTE19 that will consist of me and 5 other Education Podcasters, including former guests Dan Kreiness and Dr. Will Deyamport, as well as Jeff Bradbury of TeacherCast, the OnEducation hosts Mike and Glen, and Gabrielle Carrillo of EdTechBites. It is being entered in the People’s Choice category, which means we need people to vote for our session in order for us to get in. 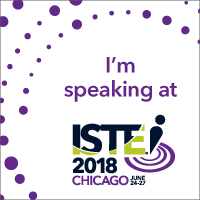 So, I’m asking that you take one minute, whether you’re going to ISTE this year or not, and vote for our Education Podcasters Roundtable. You can vote easily by going to BradShreffler.com/vote. That will take you straight to the ISTE site to vote. Again, that’s BradShreffler.com/vote or click the link in the show notes. 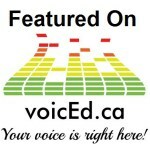 This week on the show I am joined by Dr. Sam Fecich, professor of educational technology and education at Growth City College, author of Edumagic, and fellow member of the Edumatch network. Sam am I talk about the process of writing a book, some of the differences between college and K-12 education, helping others find their confidence to share what they’re doing, being a lifelong learner, trying new things, and technology in the special needs classroom. So, sit back and enjoy Episode 73 of the Planning Period Podcast, my interview with Dr. Sam Fecich. Sam, thank you for chatting with me and joining me on the show. It was a really fun chat. Until next week, find your way out of your comfort zones.